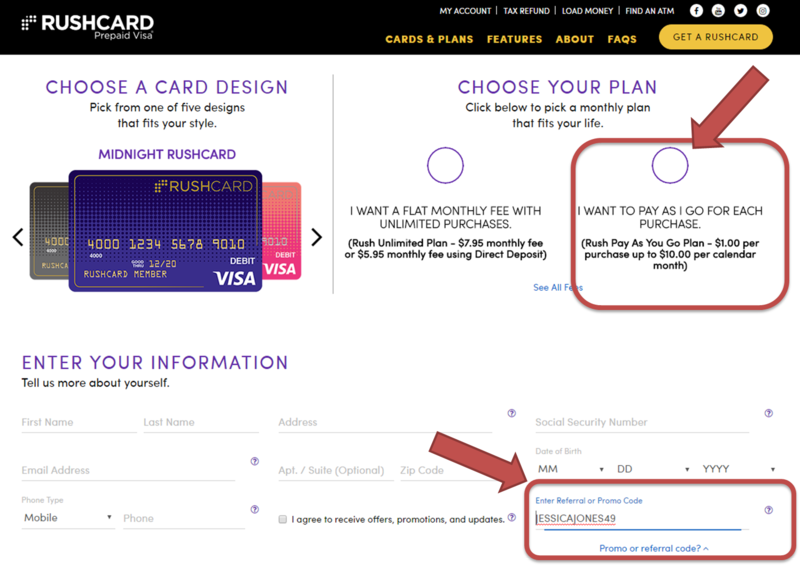 Rushcard has a promotion right now that if you sign up for their prepaid card you get a $40.00 credit if you are referred by someone. I'm that someone! Sign up for a Rushcard using my promo, register for an account when the card arrives, set a pin, share to social media and deposit $3.95 and you get $40.00 (after the $3.95 it's $36.05). Detailed instructions below! Using that link fills in my promo code JESSICAJONES49 which is how you get $30! Very important step! Without my promo code you will not get anything. Select "I want to pay as I go for each purchase" - another very important step! That way there are no monthly fees, etc. Complete the information as requested, then click Agree And Submit on the very bottom. Within 7-10 business days you will get your card in the mail. 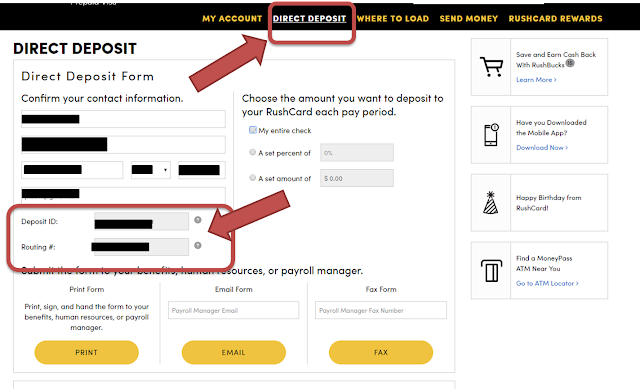 Once the card arrives you will return to Rushcard, register for an account, and activate your card. During activation you will be requested to set up a PIN for the card another very important step. Deposit ID = your "account number"
Wait... the money is on that card what do I do? Well you can then transfer the money off the card using the same direct deposit information as above into your bank account for free, you can also use the card just like a Visa, but remember EACH visa transaction will charge you $1.00 so you are better off just transferring the money to your bank account. 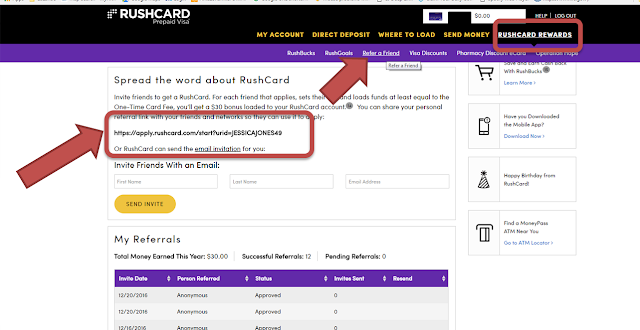 In order to get the referral bonuses the person has to activate the card and follow the instructions above. "Approved" just means they signed up, but haven't activated yet. Questions? Comments? You can find me online at Glitch Mama, I'm one of the admins and basically available quite often.